April 9, 2015 0 What is a Basic Food Plan for Overall Health and Fitness? Pounds or Inches Lost: I lost 253 pounds! My mom took me to my first diet doctor at the age of 6. I “decided” to lose weight every time I tried. It’s just that this time my body “decided” to cooperate. I had bariatric surgery which has necessitated a radical change in what I eat, the quantity eaten and an overall focus on nutrition and exercise. Since the age of 6 I’ve seen myself as FAT. It has been hard to accept that I now have a new reference to “normal”. Other people noticed the results within about 8 weeks. It took me about 6 months to notice even though the scale was moving downward. I started this endeavor in 1997 which is 9 years, but I had a period of about 2 years in there where I was going up in weight and not down. I have been within 10 lbs. of my current weight for about 18 months. I give myself a 5 lb. window. I pretty much just stick to a “South Beach Diet”-type lifestyle. Then, when I get close to my 5 lb. limit… I buckle down and restrict my simple carbs and increase my protein. There have been so many changes. I can perform physical tasks now that were difficult before (e.g. tie my shoes, walk up stairs, ride a bike, exercise). I can wear clothes that I never imagined possible. I can be active with my family, wear a seat belt, fly on a plane… my list is infinite. I really relied on the information regarding the glycemic index as this is key to helping me maintain my health. Weigh everyday until you are confident that you CAN look at the numbers! Give yourself a 5 lb. window. If you still want to lose, when you get to the bottom of your window, drop it 5 more pounds. Keep yourself on a short leash. Find a way to exercise. 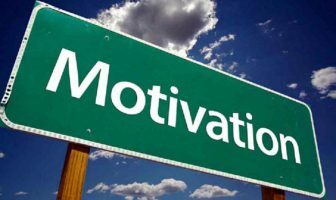 Choose 1 major lifestyle modification and stick to it. For example, I don’t take elevators. 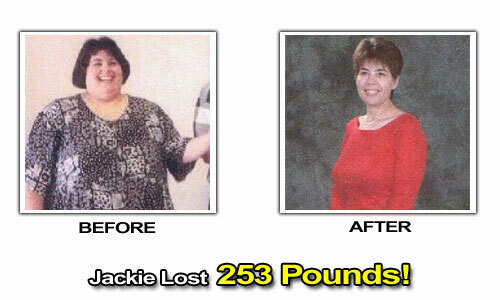 Jackie’s Weight Loss Eating Plan! A low carb breakfast taco made with a low carb tortilla, scrambled egg whites, mushrooms, peppers and cheese. 1/2 an avocado stuffed with chicken or tuna salad. Usually followed by something sweet like grapes or an apple or a Sugar Free Oreo. While I was actively losing weight this was usually a dinner such as Lean Cuisine or South Beach. While I was actively losing weight this was usually a dinner such as Lean Cuisine or South Beach. Every night with a few exceptions I will have sugar-free Jello and light cool whip! Body Pump classes at Gold’s gym. I mainly use the treadmill for my cardio.